Curator and arts educator Taraneh Fazeli will visit Des Moines to give an informal talk in the downtown studio of Mitchell Squire, professor of architecture. Admission is free, but space is limited. RSVP to Squire for location if you would like to attend, and let him know if you have access needs. The three-story building is ADA compliant and has two approved restrooms on the second floor. The program will be presented in English. Please note that Fazeli has MCS (multiple chemical sensitivity) as a result of chronic illnesses. She requests that guests respect this condition and attend the talk wearing low or no scent (i.e., without wearing perfumes and scented lotions), so that she doesn’t get sick. 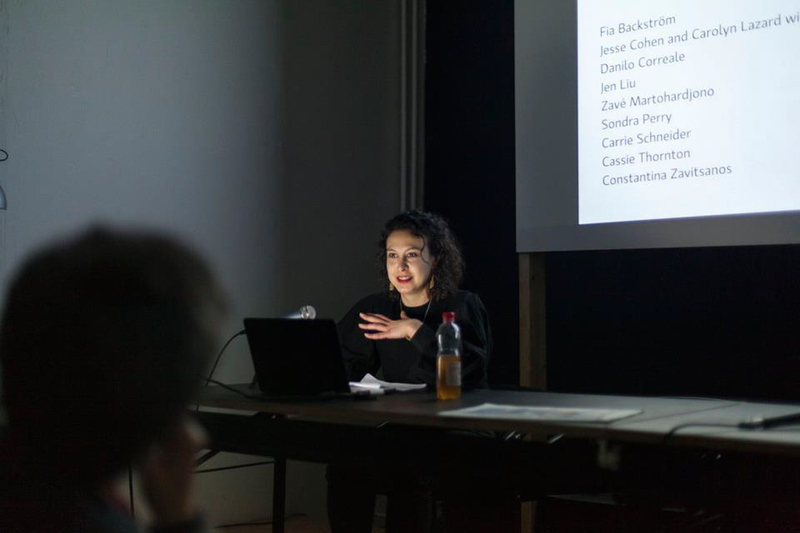 Fazeli is the current curator at the Bemis Center for Contemporary Arts in Omaha, Nebraska. Her practice emerges from legacies of institutional critique and radical pedagogy, witnessed in her work in the New Museum’s education department, as a contributing editor to Triple Canopy, and the managing director of e-flux, where she oversaw publications such as art-agenda and organized exhibitions with artists including Raqs Media Collective, Martha Rosler, Allan Sekula and Mladen Stilinović. She has been working on a multi-phased curatorial project titled “Sick Time, Sleepy Time, Crip Time: Against Capitalism’s Temporal Bullying,” which deals with the politics of health and care. It showcases the work of artists who examine the temporalities of illness and disability, the effect of life/work balances on wellbeing and alternative structures of support via radical kinship and forms of care. (Note: “Crip” is a political reclaiming of the derogatory label cripple.) The impetus to explore illness as a by-product of societal structures while also using cultural production as a potential place to re-imagine care was her own chronic illnesses and work in the realm of institutional critique. This project has taken place at arts organizations including the Bemis Center, EFA Project Space (New York), Lawndale Art Center and Project Row Houses (Houston, Texas), as well as numerous social service organizations. It will take place again at the Luminary (St. Louis, Missouri) this fall. Fazeli is a member of Pedagogy Group, a collective of socially-engaged art educators, and Canaries, a group of art-adjacent people with auto-immune disorders and other chronic conditions. Her upcoming exhibitions at the Bemis Center will examine voice as acoustic material and vehicle for representation as well as cultural rituals of justice in extraterritorial spaces. Learn more about Squire’s Gateway Talks series.